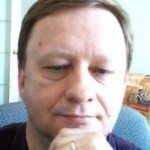 Ferenc Mihaly maintains a blog call the Amiable API where he posts various articles on API design. As part of this blog, he provides a checklist of dos and don’t in API design. The list is focused on the Java programming language, however, most of what Ferenc presents it applicable to other languages too. I really like the bullet list format and the use of verbs to produce a concise yet extensive set of general rules to consider when developing an interface.